Global Personnel Tracking System Market Report 2018 - GAO RFID Inc. 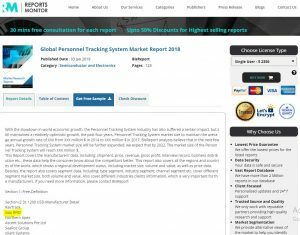 Global Personnel Tracking system report analyzes the impact of global economic slowdown on personnel tracking market in the past four years and predicts optimistic growth and further expansion of market size by 2022. Market size, volume, value and prize data of all regions and countries of the world are studied. Price, revenue, gross profit, interview records, business distribution of top manufacturers are studied. GAO RFID is mentioned as one of the top manufacturers of people tracking systems market. The GAO Personnel Tracking System is a fully integrated personnel tracking solution that can monitor personnel in real-time. 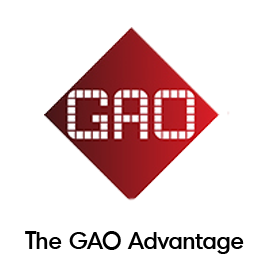 GAO Personnel tracking system promotes safety, provides security and encourages accountability for business. GAO RFID provides personnel tracking systems for Construction sites, Educational & healthcare institutes, Events & conferences, Manufacturing plants, and Offices.